WazirX escrows the crypto for safekeeping during the transaction. 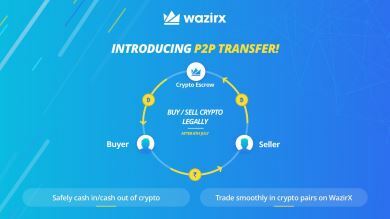 Wazirx make P2P live as soon as the RBI ban on banking services dealing with crypto comes into effect.WazirX with the intention to involve every Indian into the blockchain revolution, and our resolve is stronger than ever. In Peer-to-Peer transfer, persons can buy and sell crypto for INR directly with each other without any hassle. It’s a glimpse into the decentralized exchange.